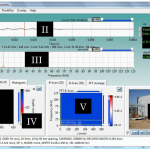 The principle of the impact-echo method in concrete structures is discussed on the DOCter webpage and is not repeated here. 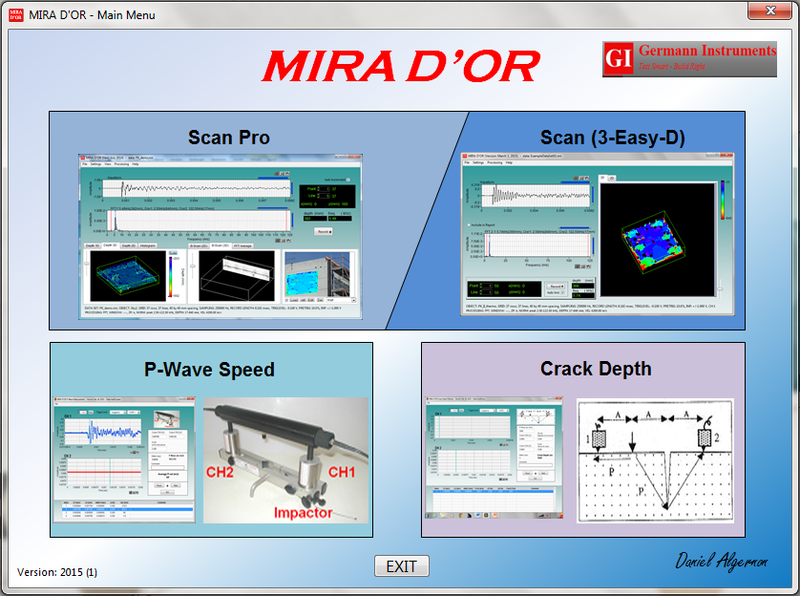 MIRADOR assumes that impact-echo tests will be performed using a predefined grid of test points. 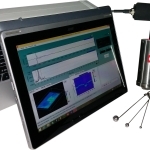 If a DOCter Mark IV transducer is used, a series of equally-spaced scan lines of equal length are marked on the test surface, and equally spaced test points are marked along each line. These points line up to create “columns” of test points. 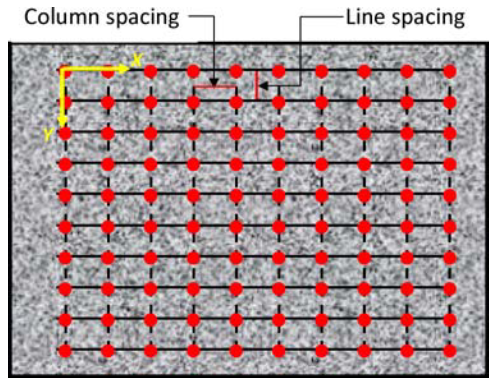 The distance between test points on a scan line defines the column spacing. The combination of “lines” and “columns” defines the 2-D grid that is the basis for subsequent displays. An X-Y-Z coordinate system is defined with the origin as shown. The X-axis is parallel to the scan lines, and the Y-axis is parallel to the columns. 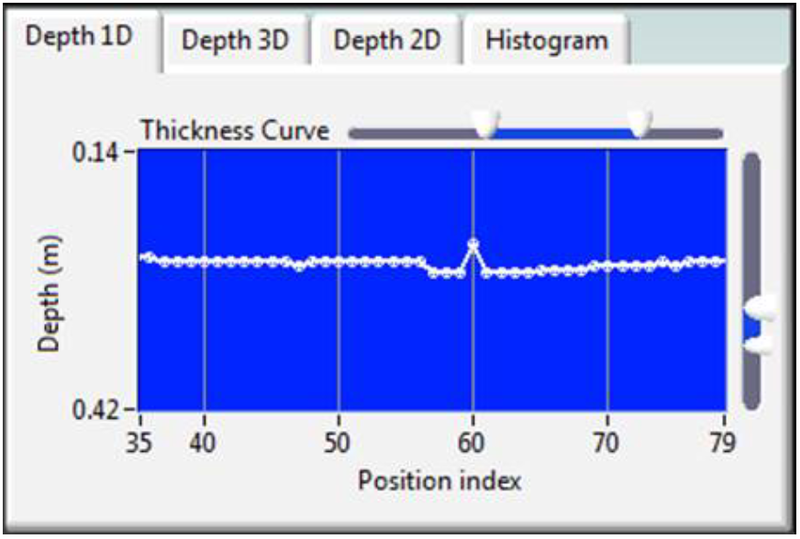 The Z-axis is the depth axis and it points into the test object. The grid spacing and the frequency steps in the amplitude spectrum define the size of the “voxel” (or the resolution) for developing the volume model of the test region. 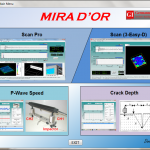 If the Impact-Echo/MIRADOR scanner system is used, the scan line locations and the line corresponding to the first column are marked on the test surface. 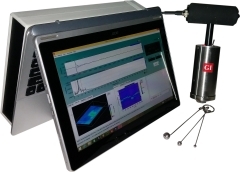 The distance between test points along a scan line is selected through the software. The test frame is moved manually from one scan line to another, and the software takes care of data acquisition along each scan line. The intent of these audible prompts is to eliminate having to look at the captured waveform and amplitude spectrum before moving on to the next point. If the audible prompts are as expected, the operator can move to the next point without having to review the results. 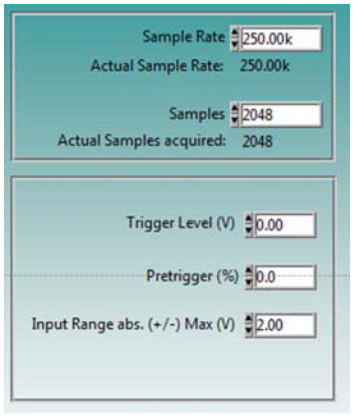 If the audible prompts are unexpected, the operator can stop data acquisition, review the results, and decide whether to re-test before moving to the next point. The essence of Impact-Echo/MIRADOR is the technique for using the amplitude spectra (see pg. 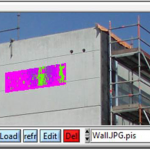 50) obtained at the grid points to construct a volume model of the test region from which locations of reflecting interfaces can be presented as images. Each spectrum along a scan line is represented as a vertical strip, with a width equal to the test point spacing. The vertical axis of the strip corresponds to frequency. Color coding is used to represent the relative amplitude of each frequency. 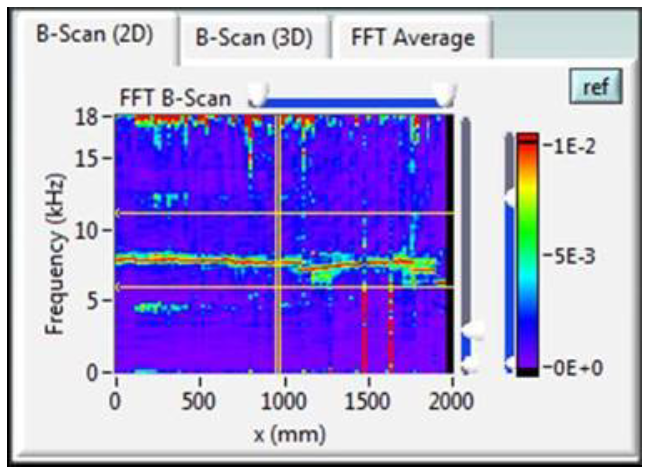 The strips are placed side-by-side, and the end result is a cross-section picture of the frequency peaks along a scan line. This image is called a B-scan and is analogous to the scan obtained using the MIRA system (pg. 99). The B-scans obtained from all the scan lines are used to create a volume model of the test region, from which D-scans and C-scans can be generated. 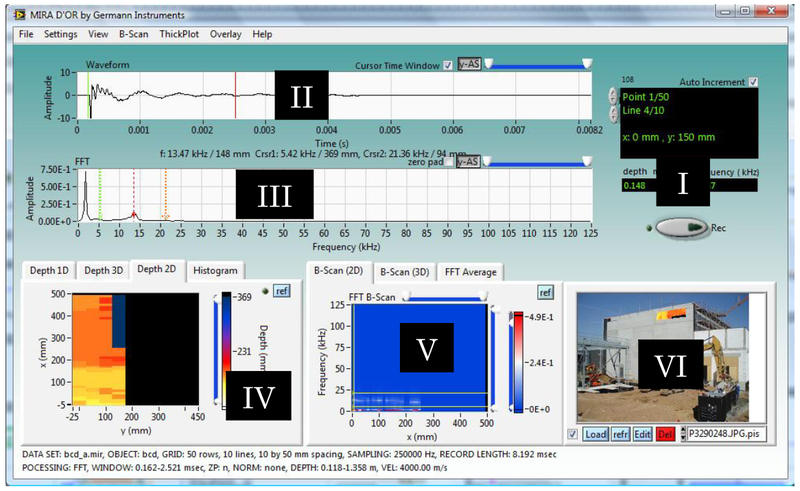 A D-scan shows frequency information on a plane passing through a column line (side view), and a C-scan shows frequency information on a plane parallel to the surface at a given depth (plan view). In addition to views on individual planes, there is the option to create B-, C-, and D-projections which are based on averaging the amplitude spectra from two or more adjacent planes. 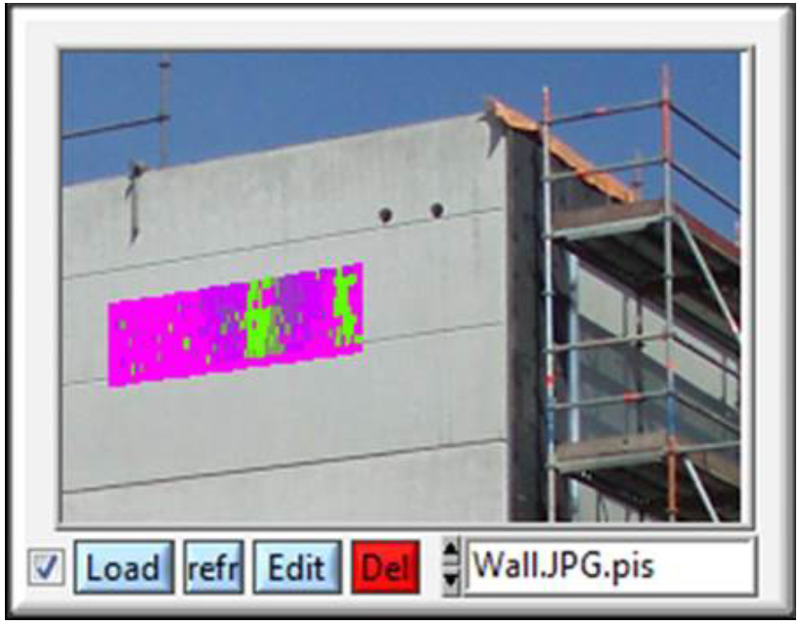 One of the unique features of Impact-Echo/MIRADOR software is the ability to superimpose an image created during data analysis onto a photograph of the test site. This provides an effective way to present test results to the client. First, a photo of the concrete structure is imported. Four points are selected on the photo and their coordinates relative to the origin of the test grid are entered. It is best to take the photo after the test grid has been marked on the structure and to use the corners of the test grid the four reference points. An image of the test results is superimposed on the photo (as shown to the left). 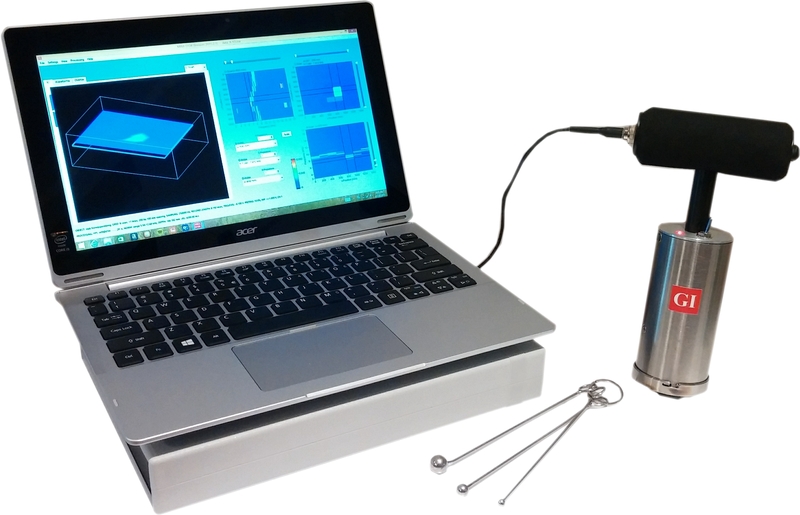 The superimposed image can be a C-scan, a Cprojection, or a 2-D depth plot. Images created during data analysis can be saved as JPEG files by clicking on check boxes next to the names of the corresponding images. When a test report is to be created, the user selects the images to be included in the report by clicking on their file names. 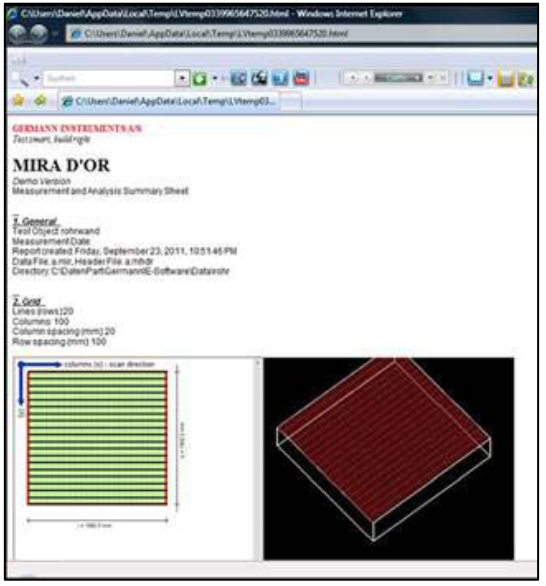 After the desired files are selected, MIRADOR generates a draft test report, which will be displayed in a browser window and also saved as an HTML file. 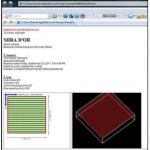 In addition to the selected images, the report will include automatically the testing parameters entered during set up. The file can be opened and edited with a word processer such as MS WORD®. 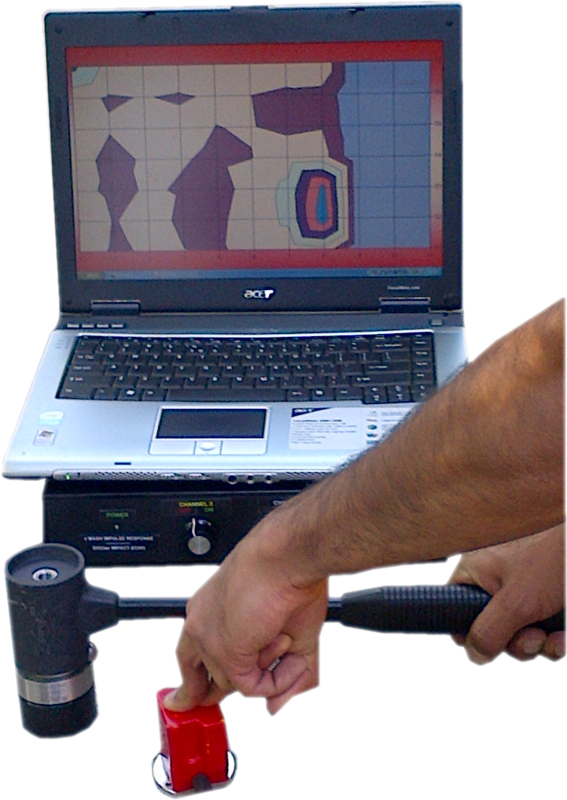 To use the scanner system, the user first defines the test grid by marking the first column line and all the scan lines. The beam is positioned so that it is parallel to the scan lines and the transducer lines up with the first test point. The distance between test points is entered into the MIRADOR program, and testing is initiated. 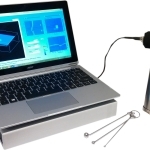 The scanner system lowers the transducer onto the surface, lifts the impactor spring, and releases the impactor. The software stores the data and sends a signal to the scanner system that causes the transducer to be lifted and moved to the next point. The process is repeated until all points along the first scan line are tested. The frame is moved manually to the next scan line and the sequence of steps is repeated until the entire surface is scanned. The time between successive tests is 2 to 3 seconds. 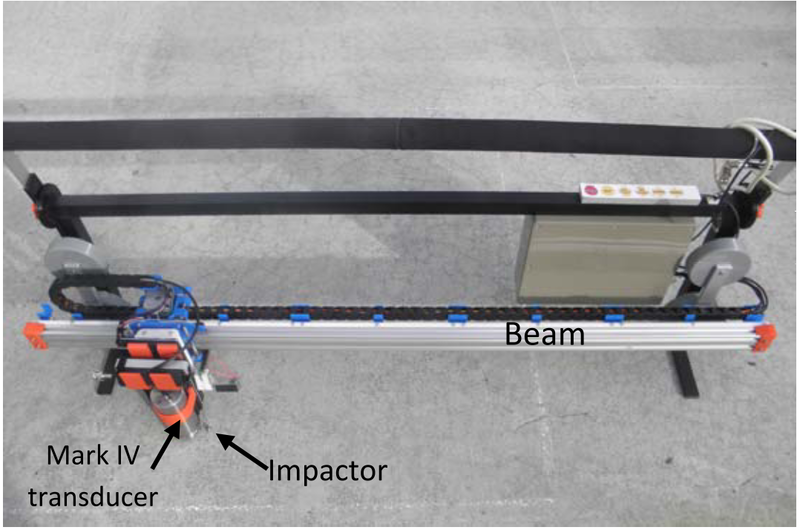 Multiple tracking beams can be joined together to increase the length of the scan lines as desired. 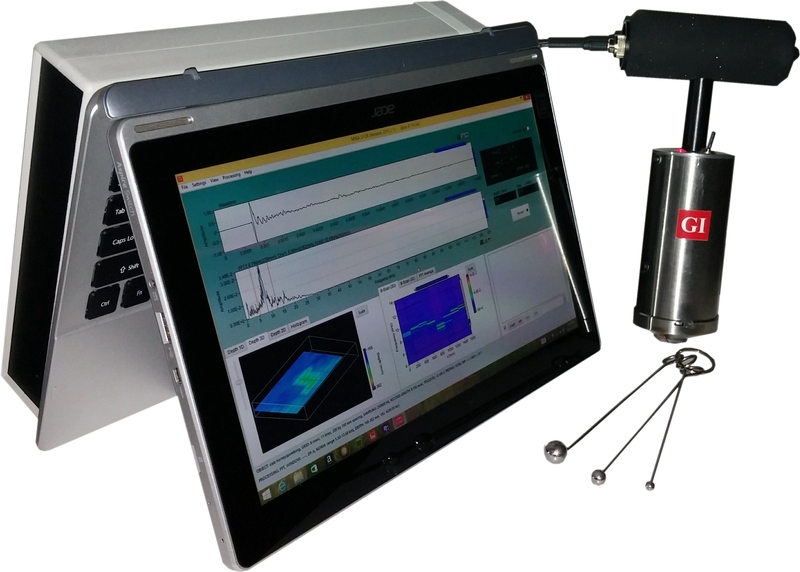 The system comes with a 7-mm spherical impactor as the recommended size, which corresponds to a maximum usable frequency of about 40 kHz. Other sizes ranging from 4 mm to 10 mm are available.